I have two words for you, 'predator drones.' You will never see it coming. 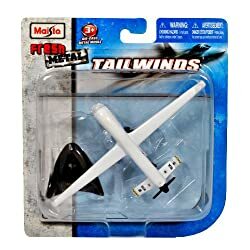 Maisto Fresh Metal Tailwinds 1:97 Scale Die Cast United States Military Aircraft - US Air Force Medium Altitude, Long Endurance, Unmanned Aerial Vehicle (UAV) RQ-1 Predator with Display Stand (Dimension: 6" x 3-1/2" x 1") You've had a busy play day - You've wiretapped Mom's cell phone and e-mail without a warrant, you've indefinitely detained your little brother Timmy in the linen closet without trial, and you've confiscated all the Super-Soakers from the neighborhood children (after all, why does any kid - besides you, of course - even NEED a Super-Soaker for self-defense? A regular water pistol should be enough). What do you do for an encore?